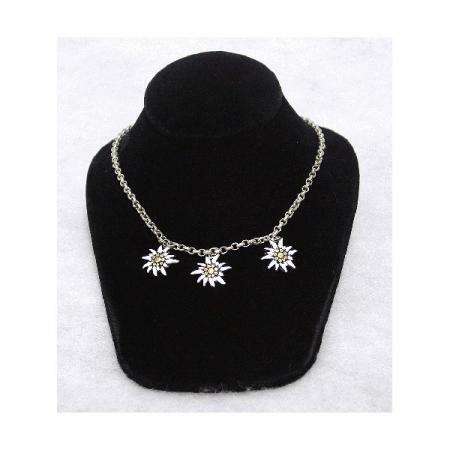 Necklace with three dangling painted edelweiss charms. Charms measure 3/4″ inches in length. Children’s chain measure 15 inches in length with lobster claw clasp. Imported from Germany.